The Xiahe we found on our last visit had changed considerably since 2004. 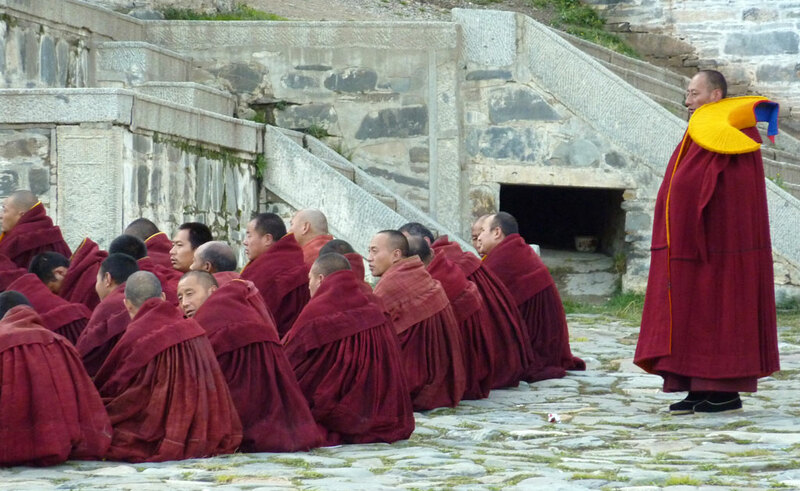 It was no longer the rather innocent, peaceful, Tibetan little backwater we had enjoyed so much before. The Chinese new town is much larger now, with charmless, concrete buildings, traffic lights and plenty of motorized vehicles. There was building work going on everywhere: in the new town, where more and more buildings were being put up at the usual breakneck speed; opposite the monastery, where a large coach park was beginning to take shape; and even in the monastery town itself, where trenches had been dug and water pipes were being laid. 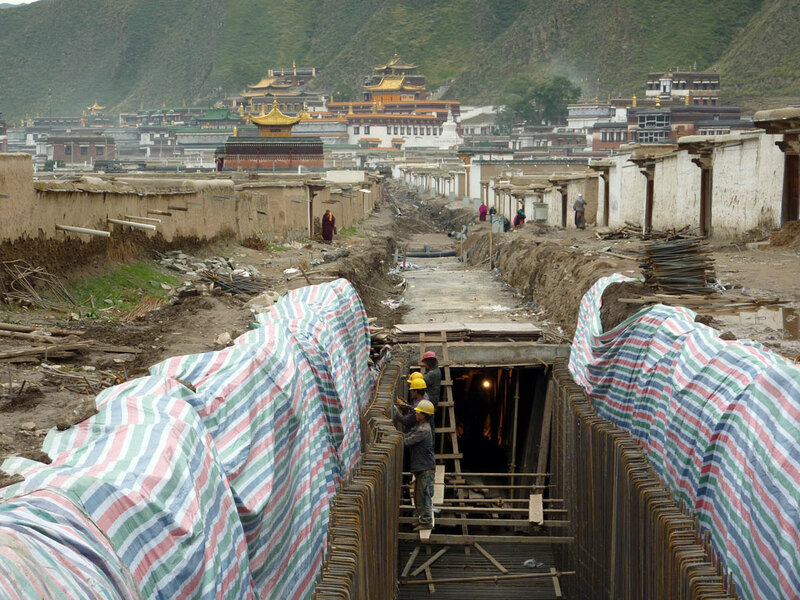 Some of these developments may be improvements, but not all of them bode well for the future of Xiahe. 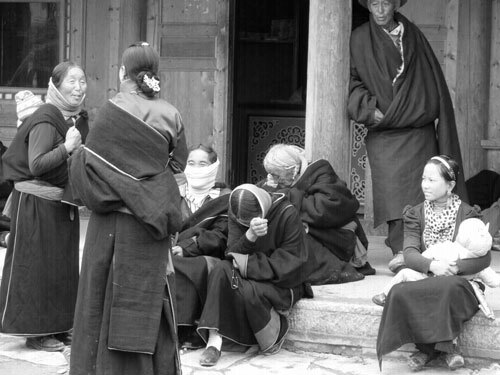 In particular the expected influx of more settlers from outside the area and the increase in mass tourism may well spoil the unique Tibetan character of the town in the near future. 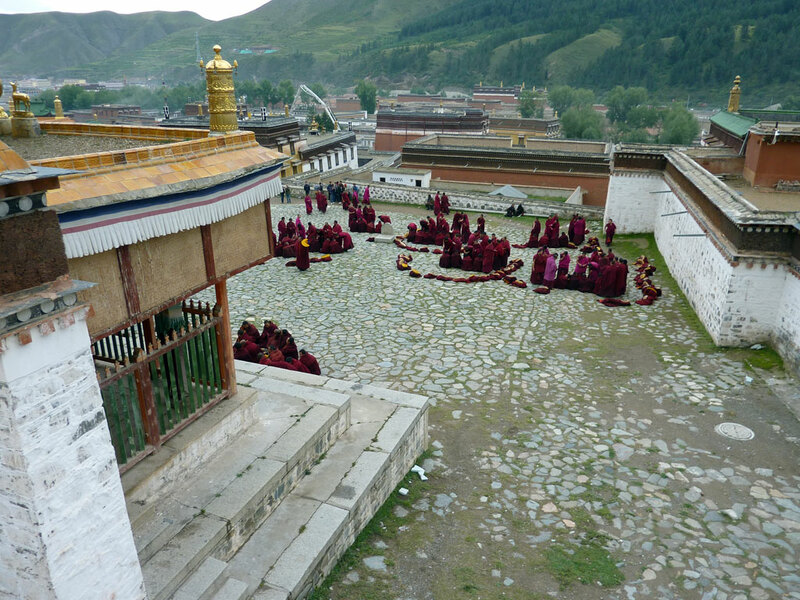 Fortunately, for the moment the monastery still retains its peaceful ambience; its religious community is still strong, and all its temples and treasures remain intact. The nomads and pilgrims are still fascinating, though perhaps not quite as exotic as before. 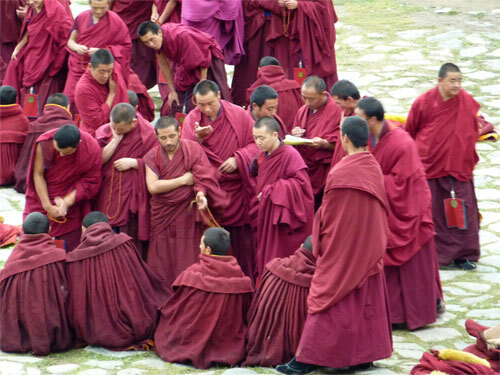 While most women continue wearing Tibetan dress, many men limit themselves to the hats, boots and daggers. 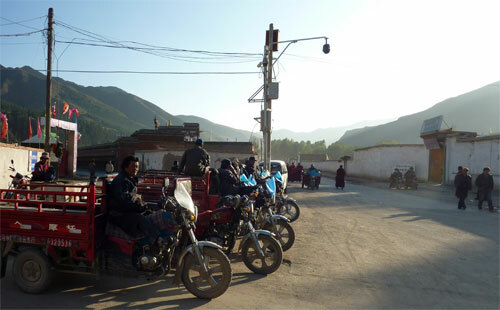 Unfortunately, there are hardly any horses these days; even the nomads prefer to use motorbikes! What is better these days is that the area has opened up somewhat. There are more roads, more means of transportation and places to stay. As a result, there are plenty of opportunities for excursions further afield, and not too many tourists yet. On our second visit we find that a long, modern Chinese street has been tacked on to the old monastic village, and there are plenty of souvenir shops, hotels and foreign visitors; gone are the beggars and the stray dogs. Curiously, many of the traders dealing in Buddhist paraphernalia are Hui (Chinese Muslims); even the cobbler who makes the monks’ boots is Hui. 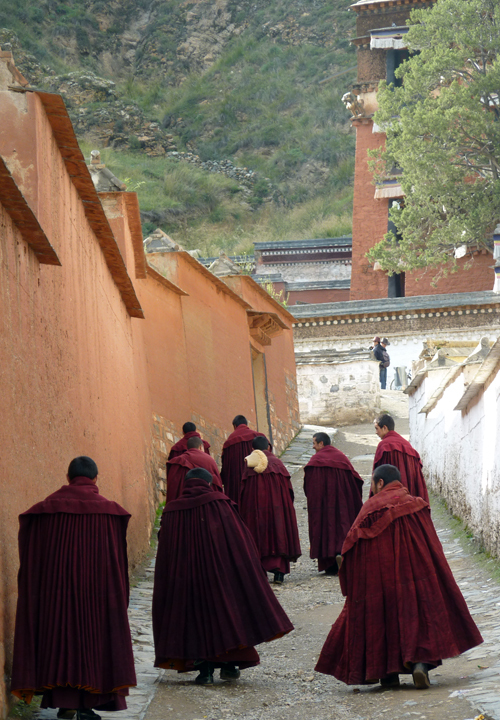 Luckily, the monastery and the Tibetan quarter have remained largely untouched. The town seems peaceful and even the new part is still very Tibetan, with lots of swaggering nomads strolling from shop to shop, stocking up with cloth, religious amulets, jewellery, etc. What we remember most about this second visit is the glorious walk we take around the kora on a hot, sunny day. The golden adornments on the temples are glittering in the sunlight, pilgrims are basking in the sun’s warmth, up by the Thangka viewing platform and, of course, there are no ugly building works down by the river. Then, there is the curious incident with the lama. One morning, as we are lounging in our room in the Overseas Tibetan Hotel, sipping coffee, one of the Nepali staff comes knocking on our door agitatedly, and tells us that we either have to leave very quickly, or stay confined in our room for the next couple of hours, because an important lama is coming to visit! We are quite taken aback: isn’t Buddhism all about respect for all human beings, humility and so on? Anyway, when we talk to the lady at reception later that afternoon, she explains that the lama is some bigwig from the Labrang monastery and that his visit was a very rare and unexpected occasion. He had come to conduct a special ceremony, though we don’t quite understand what kind. When we tell her how her colleague basically threw us out, she just laughs and says we should have stayed and taken photos of the ceremony; no problem. She reckons her colleague was just worried we would do something inappropriate, like barge right into the ceremony on our way out. 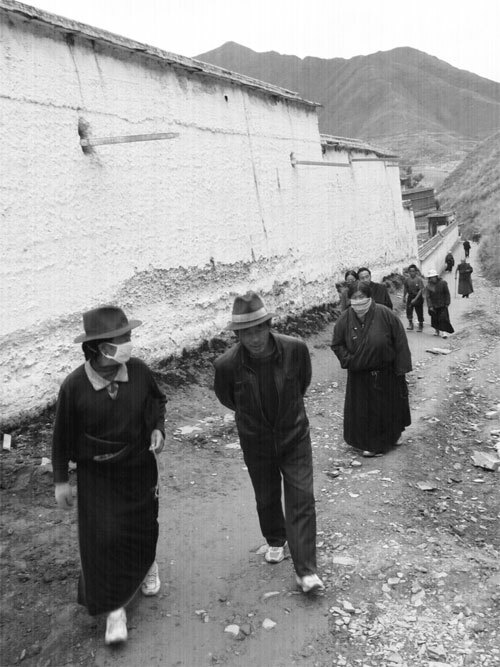 For our impressions of Xiahe in 1990, when it was still a rough and ready Wild West town, see our diary entry (Next week). I think they have the most beautiful prayer wheels. A few of the local women dressed in full Tibetan regalia posed for us. They were so beautiful. 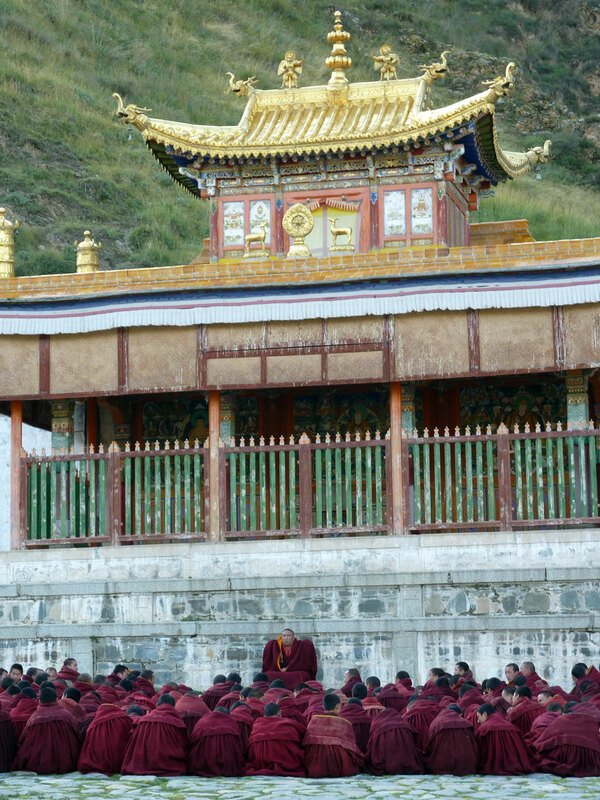 I wouldn’t ever forget our little visit to Xiahe and Labrang. Thank you very much and I hope do not disturb. Thanks for this blog. I visited Xia He in ’06 and was greatly impressed, and have been fascinated since then to see how the area has evolved, for better or worse.